Our suite of legal, financial and advisory services is predominantly associated with the private sector financing of the provision of public services and infrastructure. 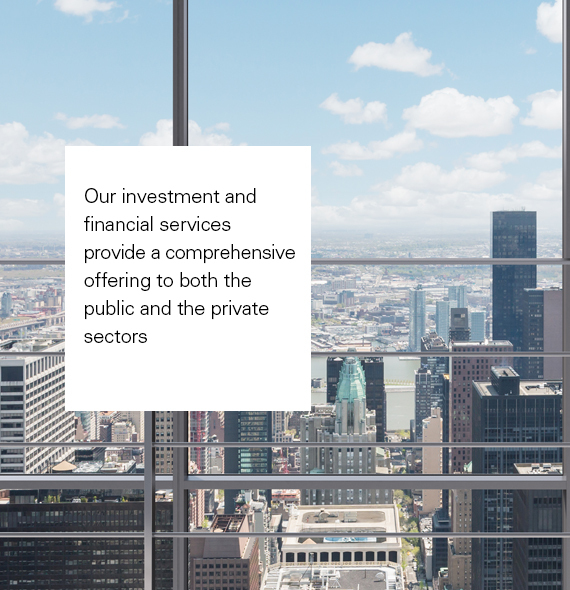 Our investment and financial services provide a comprehensive offering to both the public and the private sectors. This can be provided all-inclusively or in discrete elements. Altra Capital offers assistance to the public sector for specific projects as transaction advisers, including advising on legal and regulatory amendments as well as drafting and negotiating procurement and contractual documentation. Altra Capital also specialises in the interface with the private sector; advising private sector investors, financiers and operators and managing bidding teams. Altra Capital combines strategy, structuring and financing. Our services include project bankability assessments; business planning; project appraisal; due diligence; financial modelling; risk analysis and mitigation; transaction advisory services; refinancing options appraisal; and PPP advisory services.